Thomas Anderson’s decision to go to school to study indigenous art is already paying dividends for his young artistic career. The 20-year-old has completed Six Nations Polytechnic’s one-year Indigenous Visual Arts certificate, which can become a stepping stone to the Ontario College of Art and Design University (OCADU). “I felt very good to have gone back to school and it gave me even greater experiences, not only with learning, but with new friends and interesting people,” he says. Thomas has been selected as a 2018 Education Champion by the Education WORKS Alliance, after being nominated by Six Nations Polytechnic. The Ohsweken resident is working as an artist and has received several commissions and has worked on several cool projects, despite his young age. One of those projects is the Legacy Blanket Project, a collaboration between young artists and elders which involves creating textile works to tell Indigenous stories. The graduate of McKinnon Park Secondary School also had a hand in the large Lawren Harris memorial mural that was unveiled last year on the wall of the Brantford Public Library. A new project involves working on a mural at Hamilton’s Juravinski Cancer Centre, a place that has special meaning to him as his late grandfather was a patient there. Thomas has also enjoyed the chance to work under the mentorship of Six Nations potter Steve Smith, of Talking Earth Pottery, and he may work with him again. Thomas acknowledges that he wouldn’t be working on commissions if his mom Tricia Sandy hadn’t urged him to apply to Polytechnic’s innovative arts program. 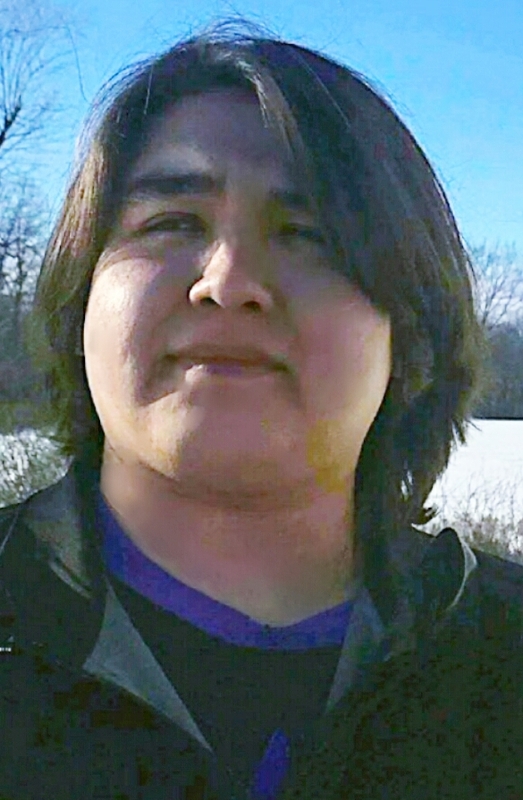 Thomas received help from Six Nations Ontario Works to get to his classes at Polytechnic’s Ohsweken and Brantford campuses, while Grand River Employment and Training provided financial support. Moral support from his family and classmates helped him believe he could take art beyond just being a hobby. Having benefited from going back to school, Thomas is already thinking about the opportunity to pay it forward, especially as he believes it is his responsibility to use his art to explain the Haudenosaunee way. “The next step for me is to take this great momentum of my artwork and to shake the world with new/old teachings that will bring people together,” he says.